Recreation & Tourism Henderson Area Chamber of Commerce, member of the world-wide ChamberPlanet.com business network. Free for Chambers of Commerce across the Planet. Shopping in Henderson, Tx. 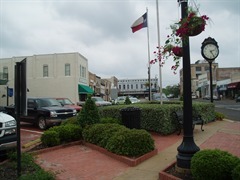 Henderson was designated the county seat of Rusk County in 1843. The downtown business district was laid out around the courthouse square. Henderson grew into an important commercial, cultural and governmental center for the area.. The Henderson National Register Historic District has maintained its integrity through the tragic fire of 1860, the Civil War, Reconstruction era, and the oil boom of the 1930’s. 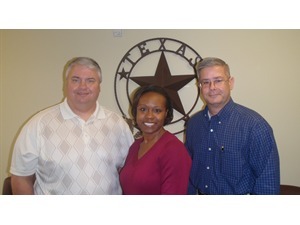 In 1988, Henderson was designated a Texas Main Street Project City. Th e 13 city blocks of the district contain 44 properties that are on the National Register. Today downtown Henderson offers a unique variety of shopping experiences housed in restored structures. Our downtown includes, specialty shops, gifts, antiques, upscale clothing boutiques . Also downtown are restaurants, the Rusk County Library and the newly restored Opera House that houses the Henderson Civic Theatre. A Downtown Walking Tour brochure is available.